To support the rapidly developing activities begun under by the C4ISR Modular Open Suite of Standards (CMOSS) initiative, Elma Electronic has released a 3U OpenVPX Convergence Development Platform. The new platform serves as a complete test environment to enable the integrated development of common, modular hardware architectures across critical C4ISR and EW systems. Built on Elma’s sturdy, easy-access E-frame test chassis, the new development platform enables system engineers to test a range of boards that meet profiles designed for use in various DoD program requirements, significantly streamlining engineering efforts and reducing time and cost to deployment. This new development system can be seen at several upcoming industry events: AUSA Global Forces (March 26-28, booth #233); Sea-Air-Space (April 9-11, booth #CB111); SPIE Defense & Security (April 17-19; booth #1624). Initially, separate program efforts were undertaken by the US Army under CERDEC (CMOSS), the U.S. Navy under NAVAIR (HOST) and the Air Force under AFLCMC (SOSA) to move away from costly proprietary systems to COTS-based open standards. Each initiative was created to facilitate the development of interoperable systems across several defense branches to improve subsystem SWaP, enable rapid technology insertion and promote reuse. Now managed entirely under SOSA, this collection of open architecture hardware and software standards is aimed at providing reconfigurable, upgradeable and cost-effective C4ISR capabilities in deployed platforms across sensor applications throughout all major military branches. One of the tasks of the SOSA and HOST working groups is to define 3U and 6U slot profiles required to build OpenVPX-based subsystems for the tri-service convergence initiative. The first series of profiles was developed and submitted for inclusion in the VITA 65.0-2017 specification. Additional 3U and 6U profiles are being developed to take advantage of the new VITA 67.3 connectors to meet the needs of SIGINT, EW and SDR system requirements. With this set of profiles, Elma’s Convergence Development Platform is ideal for developing C4ISR systems used in ground vehicles, unmanned systems, command centers and other mission critical environments. The heart of the platform is a 3U 12-slot OpenVPX backplane that meets VITA 65.0-2017 backplane profile BKP3-TIM12-15.3.6-n. It supports all the SOSA-developed VPX slot profiles, with aperture installation options for high speed RF (VITA 67.3) and optical I/O. The boards included for development also meet the new profiles: two SBCs, one with an Intel Core i7 processor and one using an Intel Xeon processor, as well as a 10/40 GigE Ethernet switch. A network timing slot provides IEEE 1588 radial support for precision network timing and synchronization, with timing card options available. Elma’s Type 39 E-Frame chassis provides open access for easy board testing and troubleshooting. It supports both air and conduction cooled board configurations. Dual, high wattage 3U VPX pluggable power supply units are also included. The modular, building block design of the backplane streamlines a path to the required configuration. 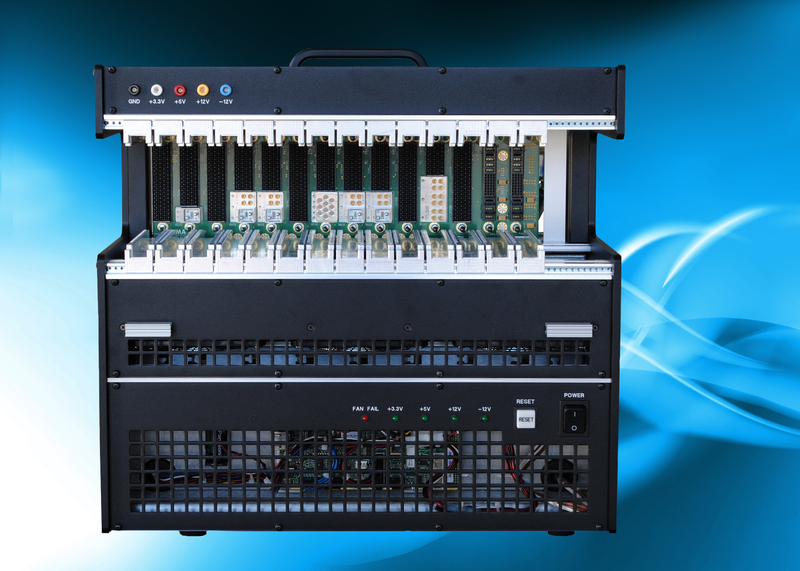 End users can identify a subset of the slot profiles they will need for a cost-effective backplane suited to the end application. Pricing and delivery for the development platform is dependent upon configuration. For more information, please visit http://bit.ly/SOSA-DP, contact sales at sales@elma.com, or call (510) 656-3400. This entry was posted on Wednesday, March 14th, 2018 at 7:37 pm and is filed under Advertiser, News.